In 1996 we began the collection of skin samples form breeding adults and weanlings to get the material for DNA analysis. Small skin samples (few millimeters of diameter) are taken from the hind flippers of breeding males, females and pups using ear notchers: this procedure is almost pain free and provides a large amount of DNA, that will be probed to produce individual genetic fingerprints. Every season from 1996 to 1998 we collected samples from about a half of breeding females (sampling all harems of one of the two main breeding zones), all pups and all breeding males. Sampling of mothers and putative fathers during one season is coupled with sampling of pups born during the next season. We have complete series of samples for 1996 and 1997, while 1998 should be completed by collecting samples from pups born in 1999. In all, we collected 408 samples from adult or subadult males, 968 samples from adult females, and 1578 samples from weanlings of both sexes. In January 1999, lab work for DNA extraction and analysis was started by Anna Fabiani at the Department of Biology of the University of Durham. To assess relatedness published primer sets for microsatellite loci will be used. These loci are highly variable and provide sufficient resolution to permit paternity testing, kinship estimation, and an assessment of population genetic structure. DNA will be extracted from tissue samples using standard procedures, and will be amplified using the polymerase chain reaction (PCR), and the PCR product visualised using fluorescent imaging. Paternity can be determined by the direct comparison of the genotypes of mother and offspring with that of putative fathers. Levels of kinship between seals within and among harems will be assessed by a comparison of allele frequencies at microsatellite loci (using 5-10 different loci), and comparative estimates based on allele sharing between mother/pup pairs and between individuals from different populations (as estimates allelic sharing between 1st order and non-relatives). Overall levels of diversity within and differentiation between populations will be based on Nei index. 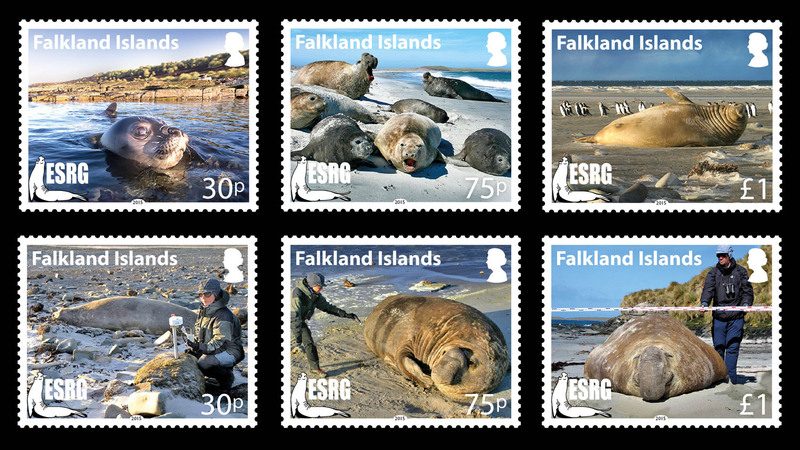 Seals from South Georgia, Argentina and the Falklands will also be analysed for differentiation at a mitochondrial DNA (mtDNA) marker, the 5' end 400bp of the control region (samples are already available). This will be accomplished using established PCR primers and the direct sequencing of PCR product. Phylogenetic comparisons of mtDNA to assess patterns of phylogeographic structure will include both Neighbor-joining and maximum parsimony algorithms. A comparison of microsatellite DNA and mtDNA markers will permit the assessment of differential patterns of male/female dispersal, as the mtDNA is inherited only along matrilines.